Pope Francis, the current vicar of Christ took charge in one of the darkest times in modern history. Countries are at war, oppression, hunger, poverty are at their all time high and religious intolerance is diminishing with every minute. But good old Pope Francis has done a good job and that has turned into a celebrity (even bigger than Popes usually are!). Here are 10 odd Pope Francis collectibles you can buy online. OK, how cool is that? 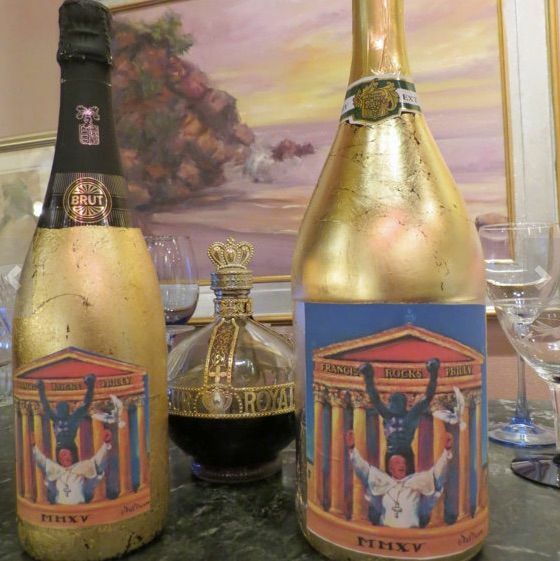 – This gold leaf decorated bottle is a limited edition beauty that is being sold on Etsy at $50. The seller is also selling T-shirts of the same design.